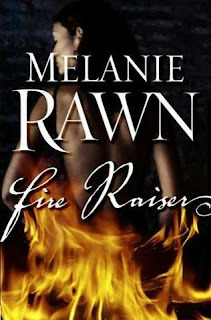 It has been announced that the third and concluding volume of Melanie Rawn's Spellbinder trilogy has been cancelled due to lacklustre sales of the first two books in the series, Spellbinder and Fire Raiser. Rawn and Tor have decided to move onto a new trilogy, with the working title Glass Thorns, with the first book due in 2012. This move appears to have been received badly by Rawn's fanbase. Rawn had left a previous series, The Exiles Trilogy, incomplete after suffering a family bereavement and a lengthy period of depression. Upon returning to writing several years later, she asked for fans' patience as she wished to work on a new project to help ease her back into the field before she tackled The Captal's Tower. The cancellation of Spellbinder appears to have left a window for her to complete the earlier trilogy, but instead she has moved onto this new project. To put it mildly, this does not appear to be a wise move. With two trilogies left incomplete whilst she moves on to completely new pastures, Rawn is in danger of acquiring a reputation as an author who cannot complete the works she has started, thus eroding any faith her fans have in being able to complete future series and thus damaging future sales. Whilst there is nothing she can do about Spellbinder in the short term (Tor will have exclusive rights on the series for a number of years, preventing other publishers from picking it up or completing it), certainly there should be no rights or publication issues after all this time about The Captal's Tower, and it remaining incomplete at this time does not bode well for the prospects of it ever being finished. Not by me, sadly. 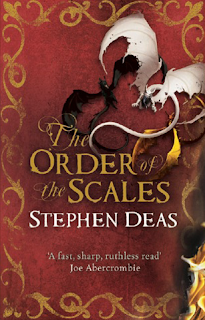 Jason at Dragonmount has read a later draft of the book (but not the final copy) and posted his impressions here. Obviously, Jason has a vested interest in the book and gives a lengthy disclaimer warning that he is biased (he did give Crossroads of Twilight a good review as well on release). However, his assessment that the book builds on the success of The Gathering Storm and remedies the biggest problems of that book (such as Mat's problematic characterisation) is nevertheless encouraging. The book is published in just over a month's time. HBO have put up a new behind-the-scenes featurette about Game of Thrones. This short clip shows veteran set director Gemma Jackson (whose previous work includes Finding Neverland and HBO's epic John Adams mini-series) discussing the visual look of the series and their attention to detail, and there are glimpses of sets and props we haven't seen before (including a glimpse of the seven-pointed star of the Faith of the Seven). Great stuff. 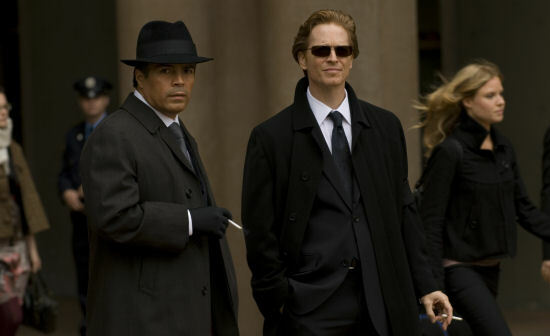 It now looks like HBO will be steadily drip-feeding content until the show airs in the spring. Due to the interest engendered by my recent reviews of the Gaunt's Ghosts series of novels by Dan Abnett, I thought it might be valuable to provide an overview of the wider setting of the books and the context which they exist in. Just another day in the 41st Millennium. 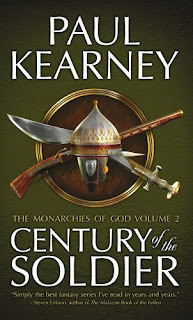 The Gaunt's Ghosts novels are set in the long-established Warhammer 40,000 universe, although they require no foreknowledge of the rest of the setting. 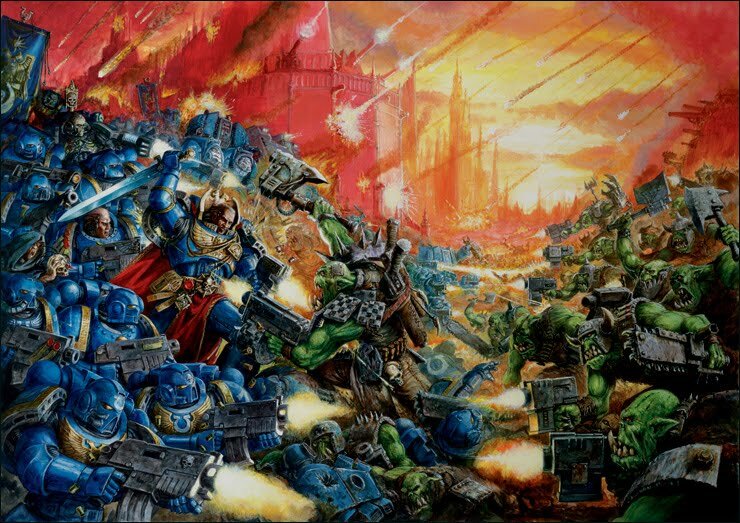 Developed by a team at Games Workshop led by Rick Priestly, the Warhammer 40,000 tabletop wargame was launched in 1987 as a SF companion to the older Warhammer Fantasy Battle game. WH40K (as it is popularly known) was a major success, spawning a number of spin-off boardgames (the best-known of which are Space Crusade and Space Hulk) and a glut of computer game adaptations, the most popular of which is the Dawn of War real-time strategy game series from Relic and THQ. 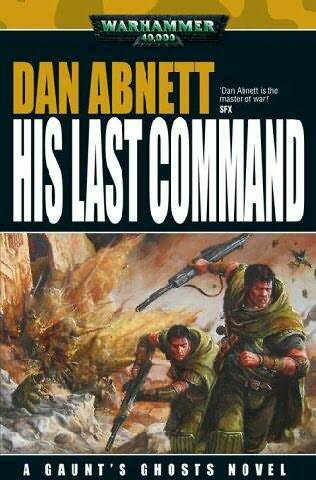 It also spawned a line of original fiction, initially edited by hard SF author Stephen Baxter and featuring work by 'proper' SF author Ian Watson, whilst noted SF critic David Langford worked on the related White Dwarf magazine for a time. The setting was heavily inspired by Frank Herbert's Dune universe and Robert Heinlein's Starship Troopers, with additional influences from the works of Michael Moorcock (the order/chaos conflict) and films such as Aliens (even if the Space Marines of WH40K are nothing like the marines of the Cameron movie), but is most notable for its almost nihilistic tone. The WH40K setting is the Milky Way Galaxy, almost 39,000 years into the future (the 'current' year in the setting is AD 40,999). Humanity has expanded into space and colonised millions of planets across the Galaxy by travelling through the extradimensional Warp. At one time humanity achieved a state of monumental technological achievement, existing alongside powerful robots and AI (for undisclosed reasons AI was later outlawed and robots - 'iron men' - held to be anathema, possibly for religious reasons). Unfortunately, a sudden rise in Warp Storms saw many worlds, including Terra (Earth) cut off from the rest of the colonies. Many worlds, dependent on trade for food and supplies, starved to death. Others fell into anarchy and civil war. The Warp Storms were the result of the activities of a hubristic alien race known as the Eldar (space elves) who had become corrupted by the dark, extradimensional beings living within the Warp (known as the Chaos Gods). The Eldar all but destroyed themselves in a titanic eruption of Chaos, allowing the birth of a new Chaos God and tearing open a hole in the fabric of reality known as the Eye of Terror and allowing the forces of Chaos easier access to our universe. On the plus side (not much consolation to the trillions of humans and Eldar who had died during the preceding centuries of anarchy), the Warp Storms did now abate. Contains 100% less sandworm than rival God-Emperors of Humanity. The end of the Warp Storms allowed the human worlds (now much depleted) to reestablish contact with one another, but their weakened state made them easy prey for raids, invasions and attacks by other alien races, such as the Orks. On Terra, a local warlord had risen to take control of the entire planet, followed by the rest of the Solar system. Proclaimed the Emperor of Mankind, he launched a Great Crusade to reunite humanity under one flag. 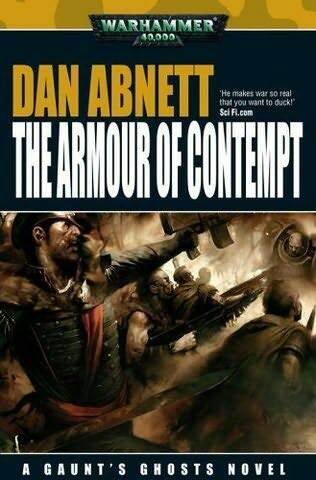 Over the course of two centuries the Emperor led this task, aided by the genetically-engineered, towering super-humans known as the Adeptus Astartes, the Space Marines, whose twenty legions exterminated almost all resistance to the Emperor's will. At the moment of triumph, however, just as it appeared that the new Imperium of Mankind would regain the glories of earlier epochs, the Emperor's most valued servant fell to the forces of Chaos. Horus, the Primarch of the Luna Wolves legion, was corrupted and led almost half of the Marine legions in rebellion against the Emperor in a lengthy civil war known as the Horus Heresy. 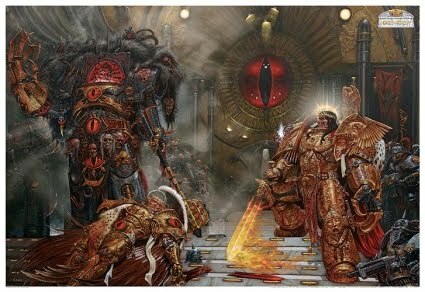 Horus and the Emperor confront one another at the end of the Heresy. They sat down and over a cup of tea sorted the whole thing out peacefully. At the end of the Heresy, Horus's forces launched a full-scale assault on Terra itself, but were defeated. The Emperor and Horus faced one another in combat and the Emperor prevailed, but only at the cost of many terrible wounds. To save his life, his servants installed him in a life-support machine to which he is now permanently bonded and cannot leave, and is now part of the Golden Throne itself. 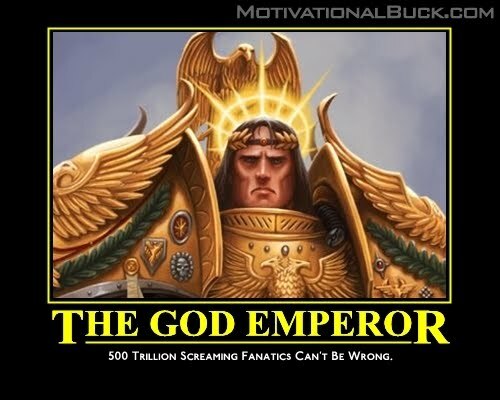 The Emperor, now often called the God-Emperor of Mankind, has spent ten millennia within the Golden Throne, his immense psychic powers being used to help protect the Imperium from the depredations of Chaos and maintain psychic beacons making travel through the Warp safer. These events took place approximately ten thousand years before the 'present' of the WH40K setting. 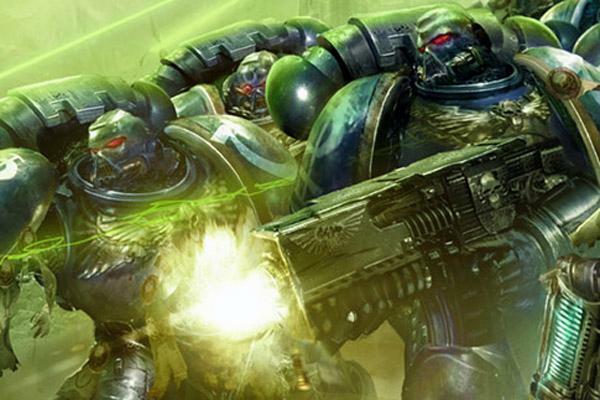 The Traitor Legions, also called the Chaos Space Marines, withdrew to the Eye of Terror and the surrounding regions, occasionally launching devastating counter-attacks against the Imperium. 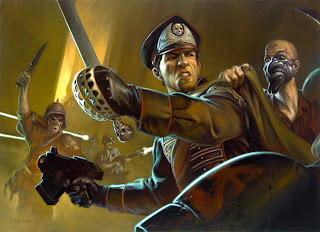 The Imperium developed a number of institutions (most notably the Inquisition and its own psykers) to guard against the corruptions of Chaos and prevent a repeat of the Heresy, as well as raising new Space Marine chapters and employing tens of billions of 'normal' humans in a military force known as the Imperial Guard. Unfortunately, the Imperium's desire to utterly annihilate the forces of Chaos was thwarted by a near-continuous series of wars with various alien races (including the Orks, the arrogant Eldar, the disturbing Necrons, the rapacious Tyranid swarms and the technologically-advanced Tau) and the sheer complexities of running and defending a empire consisting of millions of worlds and quadrillions of inhabitants. Warhammer 40,000 is notable for its extreme bleakness and sense of inevitable doom, characterised by fans as being 'grimdark'. There are no real 'good guys', with all of the races (aside from the Tau, who like other races as long as they do what they are told) noted as being extremely xenophobic and living in a state of near-permanent warfare. Humanity is enthralled by a theocracy which commands insurmountable resources, with little chance of overthrowing the God-Emperor. Indeed, despite the appalling conditions much of humanity lives under in the 41st Millennium, the Imperium is nevertheless presented as being the best of several bad choices. Also, whilst conditions are pretty bad on the industrial hive worlds (where billions toil in city-sized factories to build weapons and vehicles for the Imperium's military), there are agrarian worlds where a slower, more peaceful form of life can be found (such as on Tanith). 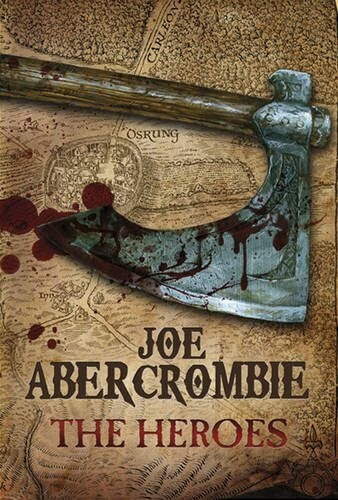 It's a dark universe where chaos and bloodshed are rife, and people survive the best they can. Space Marines of the Ultramarines chapter. Stealth is not their speciality. In the 35th Millennium the forces of Chaos threatened a cluster of 100 inhabited worlds near the outskirts of Imperial space. A simple shepherd's daughter, Sabbat of Hagia, elected to join the fight against the forces of Chaos after experiencing a holy vision of the Emperor. Sabbat's vision and tactical abilities saw her rise to lead a huge offensive against the Chaos forces which eventually succeeded in driving them from the sector. Sabbat was killed in an epic battle on Harkalon at the end of the war, was beatified and the entire star cluster was named in her honour when it was integrated into the Imperium as a secure territory. Sabbat was held in particularly high honour by the White Scars Space Marine chapter, who gave her the unprecedented honour of forging a suit of Astartes power armour for her (almost unheard of for normal humans, let alone women, since the Astartes are all male). Three thousand years later, the forces of Chaos began to infiltrate the Sabbat Worlds cluster to weaken it from within. 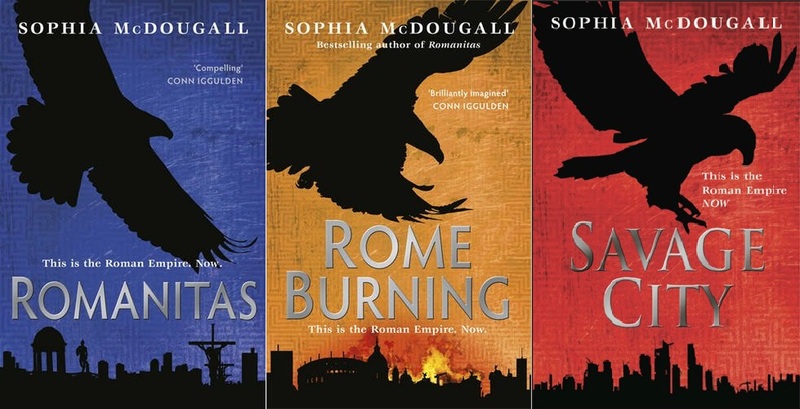 A series of wars, civil wars and various conflicts began which the Imperium managed to restrain, but never entirely eliminate. By 740.M41 (the 740th year of the 41st Millennium, or 40,740 AD by the old Terran calendar) many of the Sabbat Worlds had been overrun by Chaos insurgents, bolstered by enemy forces arriving from outside the sector, and the Imperium of Mankind officially abandoned the cluster, withdrawing to more heavily-defended systems. The forces of Chaos had appeared to have triumphed. Of course, the abandonment of over a hundred imperial worlds and trillions of imperial citizens to the Ruinous Powers could not be countenanced. An influential imperial general, Warmaster Slaydo, heavily campaigned for a military effort to be made to retake the sector in the name of Saint Sabbat and the God-Emperor. The High Lords of Terra, speaking for the Emperor, agreed that Chaos could not be allowed to take root in these worlds and authorised a massive counter-offensive known as the Sabbat Worlds Crusade, one of the largest military operations since the Horus Heresy. Warmaster Slaydo assembled a force of approximately one billion Imperial Guard, consisting of around four hundred thousand regiments (of which the Tanith First and Only, Gaunt's Ghosts, is precisely one). Slaydo also received assistance from six Adeptus Astartes Chapters, including the White Scars, and a number of Imperial Titans (gargantuan Imperial war machines capable of levelling entire cities). In support was a significant detachment of the Imperial Navy, consisting of (at the very least) thousands of capital ships and millions of transports. Slaydo launched the Crusade on the 266th day of 755.M41 with a massive assault against outlying worlds in the cluster. The initial shock of the attack won the Crusade several worlds very quickly, but the forces of Chaos mounted a significant counter-offensive, reducing the Crusade to a hard grind over the next decade. Frustrated with the slower-than-anticipated progress, Slaydo sought to regain the initiative with a surprise attack on Balhaut, the sector headquarters for the Chaos Archon overseeing the war, Nadzybar. The attack was successful, with Balhaut falling in several weeks of exceptionally heavy fighting. Nadzybar was killed, but so was Slaydo. On his deathbed, he appointed a junior but extremely promising general, Macaroth, to take his place. Colonel-Commissar Ibram Gaunt, smiling and joking as always. Following the devastating assault on Balhaut, there was an urgent need for reinforcements. The agricultural world of Tanith, located close to the Sabbat Worlds, was ordered to raise three regiments for the Imperial Guard, and Colonel-Commissar Ibram Gaunt, who had distinguished himself on Balhaut, was dispatched to take command of them. Unfortunately, a small Chaos fleet escaping from the Balhaut system, burning everything in its path, attacked Tanith shortly after the Tanith 1st had begun embarking on its transports. Gaunt, realising the hopelessness of the tactical position, ordered the Tanith 1st to abandon the planet and flee, only hours ahead of the total destruction of the planet. The officers and soldiers of the 1st were divided by this move, some agreeing it to be tactically sound (whilst regretting they could not stand and protect their homeworld, even unto death) whilst others believed it to be cowardly and dishonourable. These latter troops took some considerable time to forgive Gaunt and fully accept his authority. The Tanith 1st, now dubbed the Tanith First and Only, for there would never be another regiment raised from that world, was nicknamed the Ghosts, for being the last survivors of a dead world and people, and also for their elite camouflage abilities and camo-cloaks that rendered them almost invisible in the right lighting conditions. 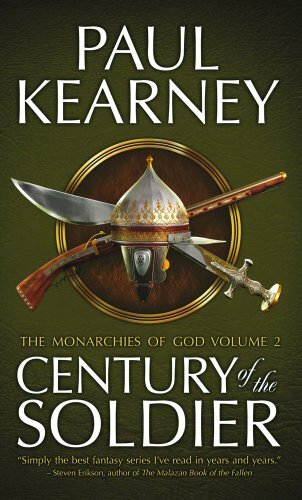 Over the course of the Crusade they would achieve many significant and impressive military victories. However, whilst the Tanith 1st's achievements are notable, they are not presented as being central to the Crusade, with the Ghosts often achieving victories on the flanks or sidelines whilst the central, major thrusts of the war take place elsewhere. Their defence of the Saint on Herodor in Sabbat Martyr is arguably their most notable victory (in tactical terms) to date, although their tenacious defence of Vervunhive in Necropolis is probably their largest single military achievement. 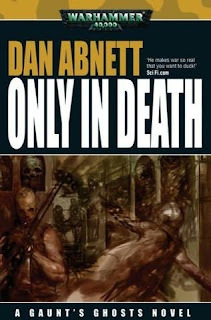 There are currently twelve Gaunt's Ghosts novels in print, along with several spin-offs. A thirteenth book is due next year. 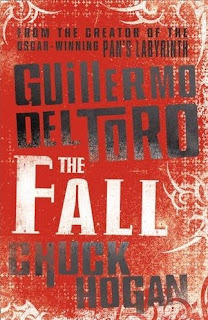 For ease of collection, the first eleven books have been collected in three omnibus volumes, corresponding to the story arcs the series is divided into. 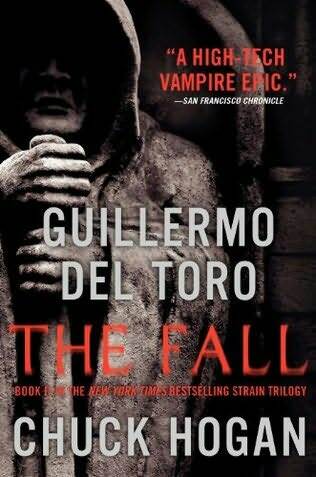 The twelfth through fifteenth volumes will form a fourth omnibus and arc, and it is unknown if the series will continue beyond that point. 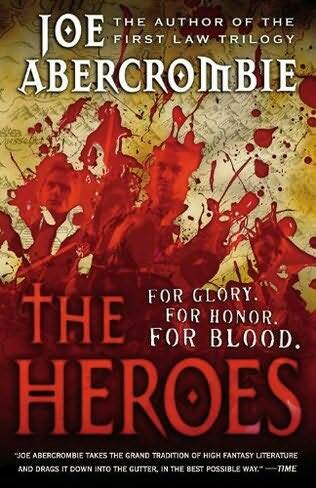 I would hope not, however, as fifteen books is enough for any series, and beyond that Abnett could risk turning into Bernard Cornwell, churning out Sharpe books for the money despite increasingly ludicrous scenarios (so Sharpe was at Waterloo and Trafalgar? Really?). From Gollancz's new catalogue, some interesting news about next year's releases. 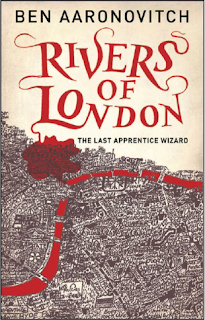 An interesting new novel, out in February, is Rivers of London, the start of a new urban fantasy series called The Last Apprentice Wizard. 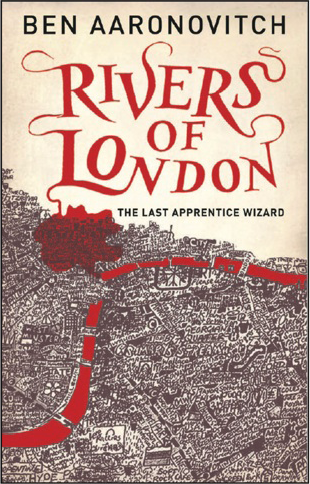 This book intrigues as it is written by Ben Aaronovitch, who started out writing scripts for Doctor Who towards the end of its original run. He was responsible for the well-received Season 25 serial Remembrance of the Daleks (and its spectacularly good novel adaptation, a fine novel in its own right) and the, erm, somewhat less-well-received (but lots of cheesy fun) Battlefield of a year later. In June Brandon Sanderson's Elantris gets its first UK release as well. 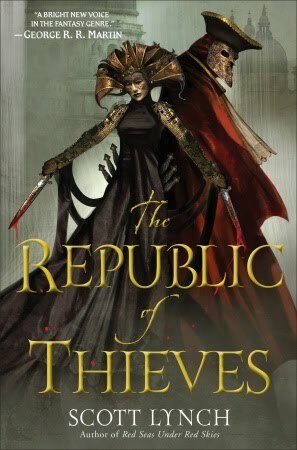 No sign of cover art yet, but I imagine it will be in a similar vein to the minimalist white covers for the Mistborn trilogy and The Way of Kings. An interesting move. 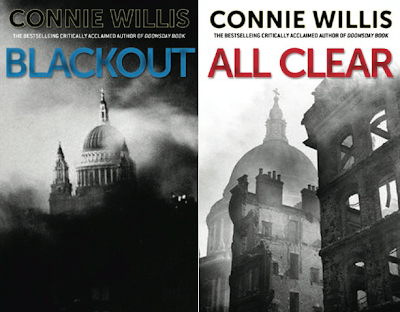 The previous US cover was a bit unexciting but the UK one is more atmospheric. 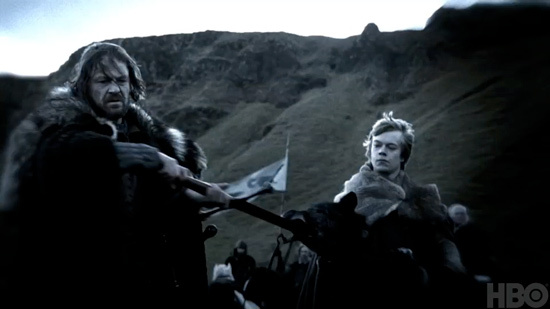 A round-up of some recent activity on the Game of Thrones TV series. First up, this image from the promo is apparently a work-in-progress idea from HBO for the series logo. 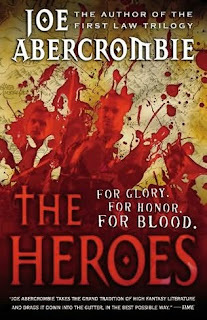 Nice, although the sword forming the 'T' of 'Thrones' is a little bit cheesy. But it's a striking enough image, although I can't help but think that some of the previous fan-made logos and posters were a little bit stronger. 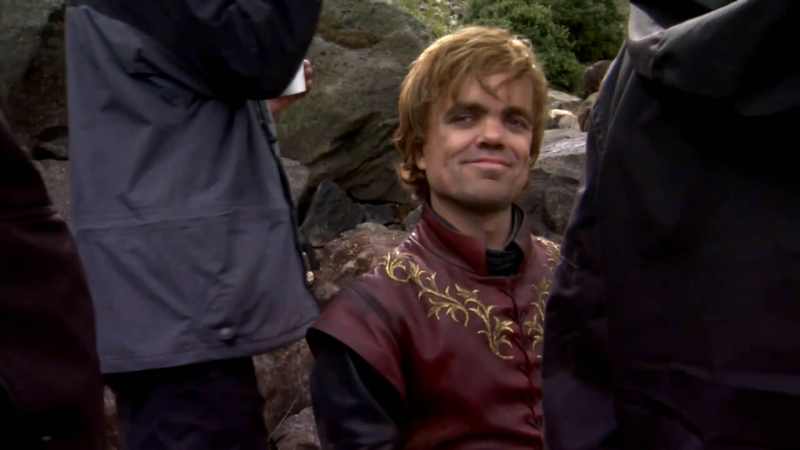 From the recent behind-the-scenes footage, here's a behind-the-scenes shot of Peter Dinklage as Tyrion Lannister. Tyrion is probably the most popular character from the Song of Ice and Fire novels and Dinklage is such a great actor he will do wonders with the role. The Westeros.org team have also gone through the second teaser trailer, the behind-the-scenes featurette and even the general HBO 'coming soon' trailer to produce a ton of images and in-depth analysis of them, with particular focus on the details of the costumes, sets, armour and their fidelity to the books. Check that out here. They are filming out of order, with the first month of shooting concentrating on Episodes 3-5, including the Hand's Tourney scene (which had over 200 extras present) and several meetings of the King's small council. Some additional footage set at the Wall, featuring Jon Snow's integration into the Night's Watch, has also been filmed, along with several scenes involving Daenerys Targaryen and her adventures on the eastern continent. Contrary to earlier reports, which suggested that only Dany's scenes would be filmed in Malta and everything else in Northern Ireland, it appears that there will be a mixture of scenes spread across the two locations. 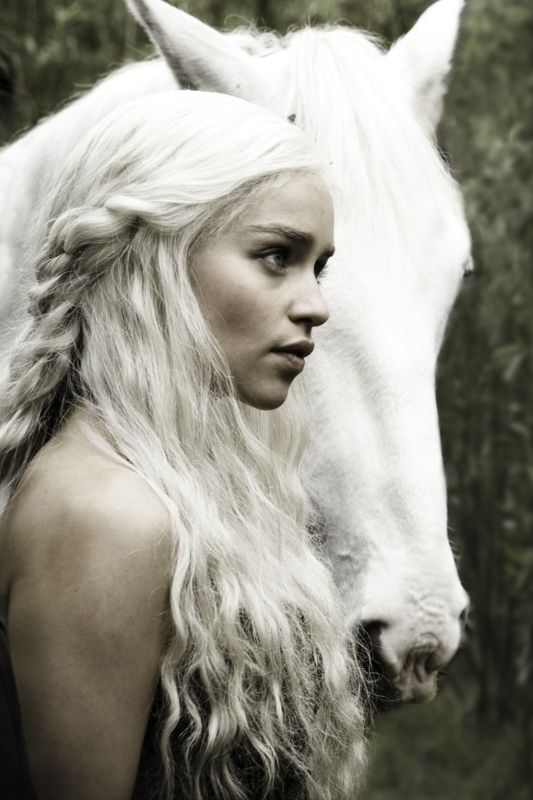 More of Dany's material will be filmed in Northern Ireland (particularly her scenes crossing the Dothraki Sea and in Vaes Dothrak) whilst some of the Maltese locations will stand in for exterior filming of the city of King's Landing. Actress Tricia Helfer (Six from Battlestar Galactica), meanwhile, has revealed that she auditioned for the role of Cersei in the series. Although she failed to get the role, she did become hooked on the books and is now a big fan. Maybe they could get her back for another role late on? Melisandre immediately comes to mind. GoT writer and associate producer Bryan Cogman has been doing some behind-the-scenes blogging about the show, and has released a flurry of post-dated entries covering filming so far. There's some great tidbits in there (such as the fact that the massive, horse-like gates to Vaes Dothrak described in the books will be present and correct on TV). You can find those on the official GoT production blog. 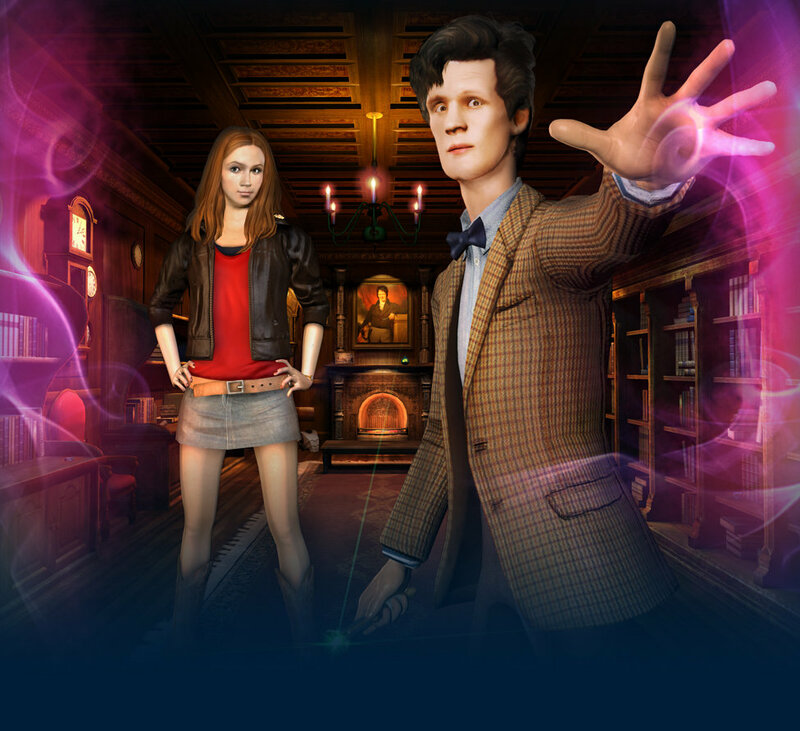 TARDIS is the third of four games in the Doctor Who Adventures series. Like its two predecessors, City of the Daleks and Blood of the Cybermen, TARDIS is a family-friendly adventure game where the player controls the Doctor and Amy in an attempt to resolve a crisis through solving puzzles. In my earlier reviews, I pointed out that Blood of the Cybermen showed real improvements over City of the Daleks, indicating that the creators had listened to the negative feedback over that game and solved some of the more galling issues. TARDIS, rather cheerfully, reinstates all of the things that made City of the Daleks infuriating and, just for good measure, introduces some new problems as well. First up is the return of the minigames from hell, with the solution to several puzzles relying on the use of painstakingly tedious maze-games where one single mistake (or, due to dubious collision detection, the whim of the game) resets the whole thing and makes the player begin again. The game shows signs of some intelligence with the use of a Q&A mini-game where the player must use his or her knowledge of Doctor Who (or their ability to alt-tab and have Wikipedia on in the background) to solve a security puzzle, but again they manage to foul it up by making you repeat the entire quiz if you make one mistake, and also by having some rather obscure questions in there that will tax seasoned Doctor Who fans of many decades' standing, let alone young children who've only come aboard with the Matt Smith era. Outside of the minigames, the game is hamstrung by one rather large problem: its extremely short length. Both of the prior episodes spanned several different locations with multiple characters, dialogue and numerous puzzles to solve, taking about two hours each to complete. TARDIS takes place in exactly two rooms (the TARDIS console room and the Doctor's study) and lasted this player about one hour, about twenty minutes of which were spent threatening the computer with physical violence when yet another minigame maze puzzle reared its ugly head. Even by the standards of the previous titles, this is an extremely short game. On the plus side, Matt Smith and Karen Gillan continue to do good voice-work and there is some reasonably good dialogue. Old-school Who fans will appreciate the nods to various older stories (mementos of which dot the Doctor's study), and there is confirmation that the Time Lord President played by Timothy Dalton in last year's TV movies was indeed Rassilon, the founder of Time Lord society (how and why he was resurrected is not revealed). However, whatever good-feeling is generated by these fan-pleasing nods evaporates when you reach the end of the game and discover that you have to memorise every single control on the TARDIS console and activate them in a certain order within a tight time limit (fighting the uncooperative camera every step of the way) to finish the game. TARDIS (*½) has occasional flashes of competence, but overall this is a disappointing, bland and immensely frustrating title that undoes all of the good work of Blood of the Cybermen. The game is available now for free in the UK from the BBC website, whilst a paid-for international version will follow in a few months (however cheap it is, it's probably not worth it). The final game in this first sequence will appear before the end of the year, with a second set of games currently being planned for next year. The answer to the question is, "No, of course not, that would be too random for words." However, it does transpire that he did inspire the visual look of Chewbacca in the original Star Wars movie through an interesting chain of events. How it works is thusly: in July 1975 Martin's short story 'And Seven Times Never Kill Man!' was published in Analog. Artist John Shoenherr created some artwork for the story which is clearly very Wookie-esque. 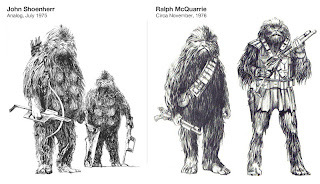 In itself not entirely damning, until it is revealed that Star Wars conceptual artist Ralph McQuarrie was handed a copy of this very picture by George Lucas (who apparently had claimed it was from the 1930s, not just a few months earlier) in late 1976 as part of his ideas for what Chewbacca would look like. 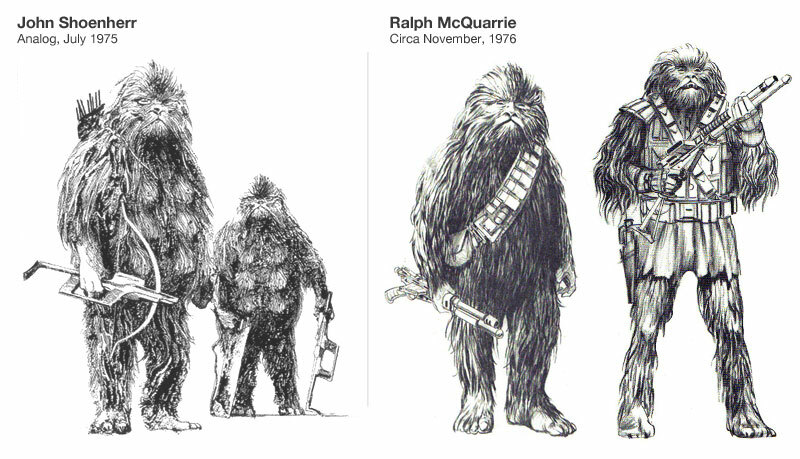 McQuarrie then developed this image into the final look for the Chewbacca character. A rather telling point that the original Shoenherr picture was inspirational is that it has the alien using a weapon that looks very similar to Chewbacca's trademark bowcaster weapon, a detail missing from McQuarrie's rendition, indicating the original was used as a reference by the prop department. This isn't the first time that GRRM has inadvertently contributed to the creation of an iconic race without realising it. Fellow SF writer Charles Stross 'borrowed' the name 'githyanki' from GRRM's 'Thousand Worlds' SF setting for a race of monsters he was creating for an official Dungeons and Dragons product in the late 1970s. The name and the race caught on, becoming an iconic D&D race still present in the latest iteration of the game. Martin was unaware of this until he was asked about it by a fan during the early 2000s. 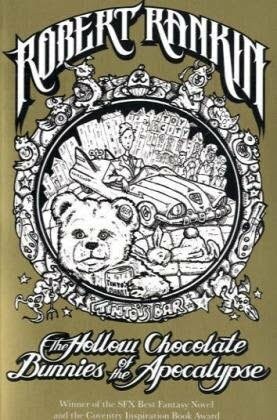 Ran at Westeros has hinted that since the ursine alien race in Return of the Jedi who help bring down the Empire was supposed to be the Wookies but was replaced with something cuter and more marketable, we could possibly blame GRRM for the chain of events that led to the creation of the Ewoks (!!!). Although Martin would probably prefer it if we didn't. 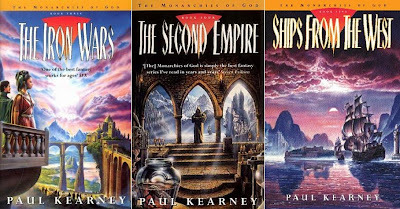 New SFF blogs are ten-a-penny these days, but Iceberg Ink is worth a look as it's been launched by Scott 'QuickTidal', a stalwart contributor over at Malazanempire. The blog looks set to cover a variety of books and comics and, intriguingly, the organisers are willing to accept submissions from people who fancy the idea of writing reviews but not running a blog full-time. Contact details are available via the blog or the thread linked at Malazanempire. Good luck to Chris, Scott and their future collaborators! Only in Death (****) is a dark, bloody, weird and satisfying entry to the series, despite the tonally dubious 'two soldiers against the world' subplot in its latter part. 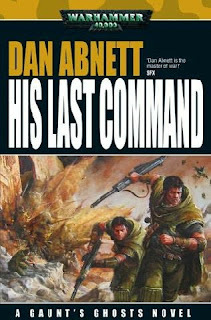 The novel is available now as part of The Lost omnibus in the UK and USA. Both the game and film involve people manipulating and invading dreams, making the match work well. Interesting to see if Overlook follow suit for the North American release. 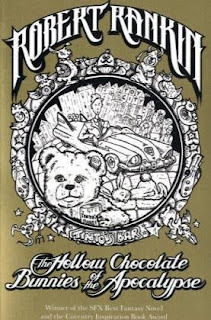 The book is currently planned for March 2011 publication. 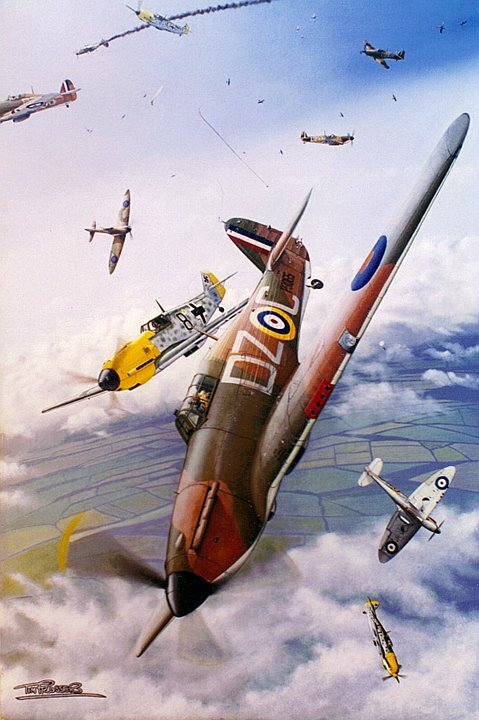 Today is the official Battle of Britain Day in the UK. Most years it passes without much fanfare, but as this year is the 70th anniversary of the campaign there has been a much greater focus on it through television programming, newspaper and online coverage. The Battle of Britain was fought in the summer of 1940 and, at the time and still in the British popular imagination, marked the defeat of the most serious threat to the continued existence of the UK in nine centuries. Seven decades of historical research and access to the German archives have shown that the danger was considerably less than imagined at the time. The ability of the Germans to mount an invasion of Britain in the summer or autumn of 1940 can best be described as 'risible', something that Hitler was well aware of, and the preparations for invasion were effectively a smoke-and-mirrors campaign designed to shock the British into coming to terms before the Germans turned their attention eastwards. The German navy had been mauled in the Norway campaign and it had absolutely no landing craft to speak of, certainly nothing to compare to the array of specialised, multi-purpose machines fielded by the British and American forces on D-Day. The prospect of the Wehrmacht storming ashore at Eastbourne from pleasure yachts and canal barges (basically an offensive version of the retreat from Dunkirk), with little to no support from Panzers or mobile artillery, seems rather farcical, a notion shared by Hitler and most of his commanders. Of course, Hermann Goering, in typically understated style, declared that the Luftwaffe could do the job of artillery, tanks and ships all one go, knocking out the RAF, sinking the Royal Navy and providing effective air cover for the invasion force (despite the slight problem that the Luftwaffe's best fighters only had enough fuel to stay over south-eastern Britain for 15 minutes at a time, and couldn't reach the north of the country at all). The RAF disabused him of this notion over the course of three months of fierce combat, during which time the Luftwaffe lost a startling five times as many pilots and aircrew as the British and their allies (French, Czech and Polish pilots also played major roles in the battle, as did many from the Commonwealth countries and a single squadron of Americans, notably not including Ben Affleck). Eventually, admitting that the Luftwaffe could not do this job (causing a loss of face for Goering that he never entirely recovered from), Hitler ordered his air forces to switch their focus to bombing London and other cities in a terror-bombing campaign, which was not particularly successful either. Even this campaign was drastically reduced the following year when the frustrated Germans launched their invasion of the Soviet Union instead, beginning the two-front war Hitler had once vowed never to launch and which led to his eventual demise. Whilst the UK was not in as great a danger of invasion as envisaged at the time, the Battle of Britain was still strategically important. It demonstrated to the rest of the world that Britain was still in the fight, and the defeat of the perceived serious threat of invasion was regarded as Hitler's first major military upset during the Second World War, denting his aura of invulnerability (in fact, it was arguably the first time Hitler had not taken a gamble and won since the Munich Putsch of 1923). American popular and political support, which was somewhat lukewarm whilst it appeared that Britain's defeat was imminent, was rallied and helped convince the American government to increase its material support of Britain over the following year. In addition, the demonstration of the effectiveness of British airpower led to aerial offensives against military and industrial targets in Germany and occupied France continuing with cessation until the end of the war, hampering German military adventures elsewhere. British technology, particularly in the fields of radar and aircraft design, was also improved immensely by experiences during the battle (the Spitfire, whose contribution to the battle is sometimes overstated to the detriment of its cousin the Hurricane, went on to become a very fine aircraft in later stages of the war). Finally, the simple fact that Britain was still in the fight tied down roughly a million German troops in France and Norway that were not available to reinforce the Eastern Front, troops whose absence the Germans would come to rue in December 1941 outside the suburbs of Moscow. The battle also impacted on my family. One of grandfathers was an ARP warden working in London during the battle and the Blitz that followed, whilst the other worked as RAF ground-crew on several airfields in the south-east. My home town of Colchester was not directly attacked, but dozens of airfields were located all around it which took part in the battle, whilst my older aunts and uncles watched the battle as children from their back gardens. I grew up with stories of this time, which informed my later interest in this period. One thing that cannot be disputed is that thousands of pilots and aircrew (many still in their teens), and thousands more civilians, were killed during this period. The heroism and sacrifice of these people should not be forgotten. 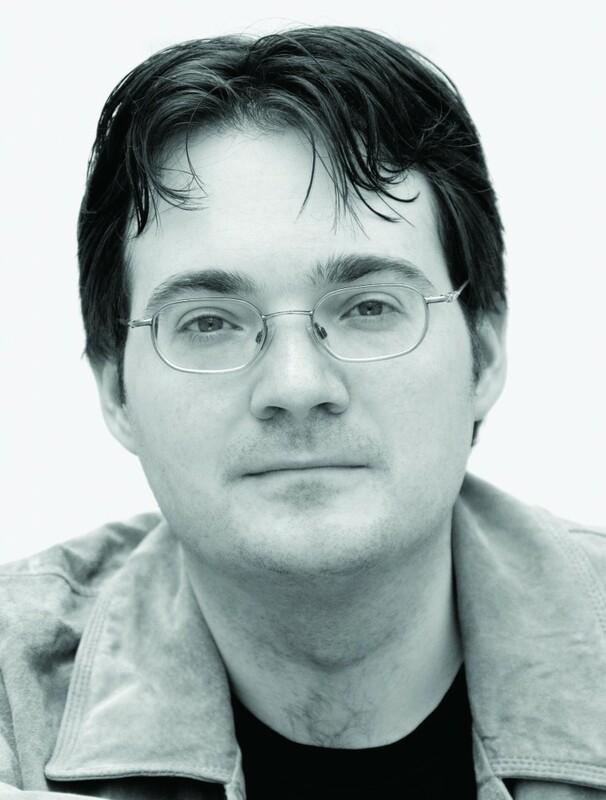 Myself, Neth, Larry and Pat have joined forces to interview Brandon Sanderson about his new novel, The Way of Kings, and the upcoming penultimate Wheel of Time novel, Towers of Midnight, due for release in November 2010. Sanderson gives detailed and insightful answers to some interesting questions, making this one of the best interviews I've been involved with. Thanks to Pat for setting it up. And in addition HBO have set up a new behind-the-scenes blog where production staff will be posting updates on how the series is progressing. Writer-producers D.B. Weiss and David Benioff have already given updates, as has scriptwriter Bryan Cogman. Expect more updates on a regular basis. HBO will be airing some new Game of Thrones material tonight (in the USA). Just before the Season 3 finale of True Blood airs, there will be a 20-minute preview of HBO's new and returning shows over the next few months. As well as footage of Boardwalk Empire (Martin Scorsese's 1920s prohibition gangster drama) and the next season of Curb Your Enthusiasm, there will be both behind-the-scenes and some new filmed material for Game of Thrones. This will be the first material to air that will definitely be in the series (the previous teaser was made up of material from the initial pilot that will now mostly not be used). For those not in the USA, HBO have promised to put the footage on their GoT sub-site ASAP after it airs. I also imagine it will be available on YouTube soon afterwards. Game of Thrones is currently filming its first season in Northern Ireland and Malta. It is currently tentatively scheduled to begin airing in Spring 2011, possibly March. 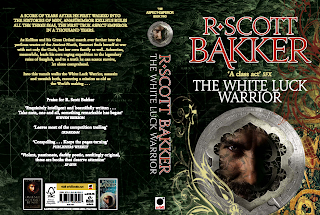 On his blog R. Scott Bakker has given an update on his current and future projects. Disciple of the Dog, the first in a recurring series featuring the character of Disciple Manning, is now out in Canada with US publication to follow in November, whilst the UK edition will be published next week. 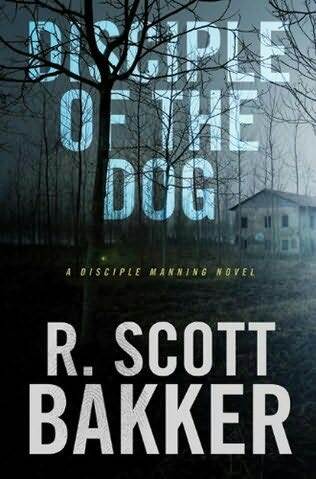 Bakker expresses surprise at the lack of reviews so far, which is unsurprising as review copies have apparently not been sent out for the book. Bakker describes the book as his most accessible to date with his biggest popular break-out potential. 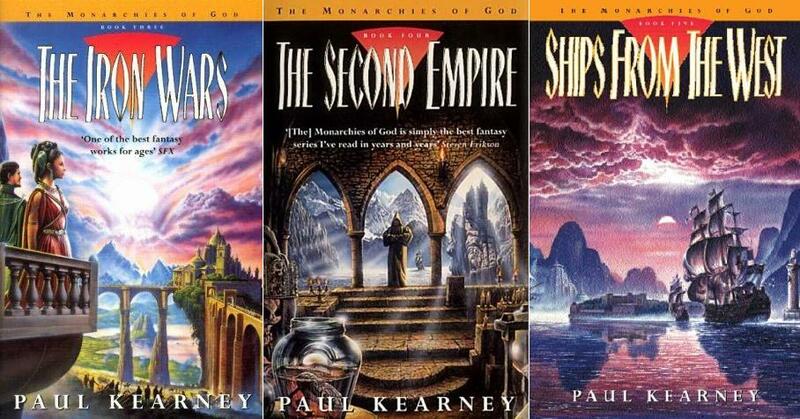 He also reports he has the next two books in the series planned. 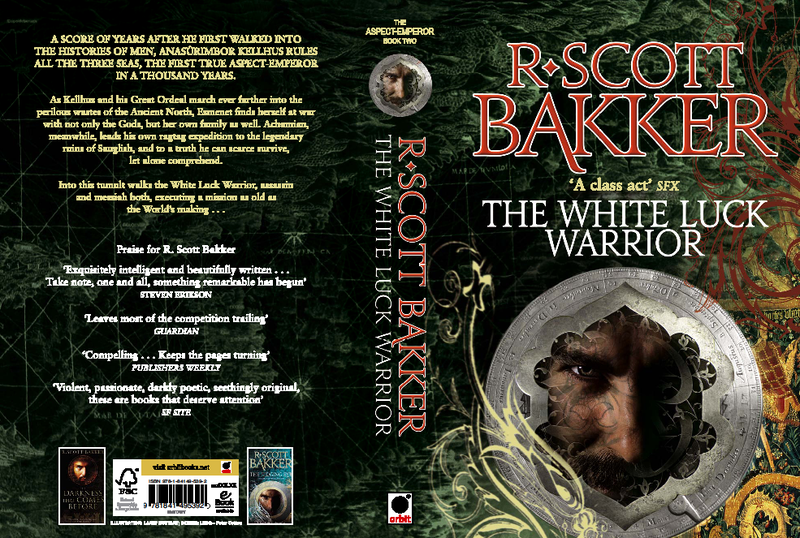 Back with the Second Apocalypse series, Bakker has completed the revisions and editing for The White-Luck Warrior, which should hold firm for a March 2011 release. He is also 20,000 words into the next book, The Unholy Consult, which he hopes he can complete in time for an early 2012 release. In the USA, SyFy have confirmed that Season 1.5 of Caprica will start airing on 5 October 2010, three months earlier than their previous estimate. According to their marketing speak, they freed up some space in their schedule to show it to appease the impatient fans, but the real story appears to be that SyFy have a late November deadline on their decision to renew the show for a second season and they needed to get some fresh ratings before then to help them make that decision. The first half of Caprica's first season aired in January-March this year and got initially mixed reviews, although there also seemed to be a broad consensus that the show was getting stronger in its later few episodes, particularly the unexpected VR 'New Cap City' storyline which took the show in a fresh and interesting steampunk-styled direction. Ratings were pretty low, but it has to be said that amongst the things SyFy could have done to improve them, taking the show off the air for seven months just as it was getting good was probably not among the cleverest. Now it would appear that Caprica needs to come back strong from the break to stand a reasonable chance of being renewed.